Photo of: East Coast of Ireland: Dublin: Dun Laoghaire. 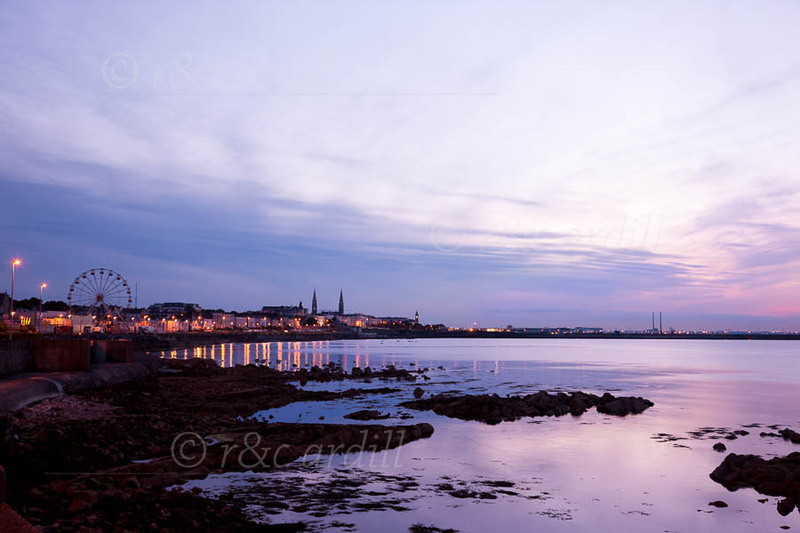 A view of Dun Laoghaire (or Dunlaire) taken after sunset from Sandycove. Dun Laoghaire used to be called Kingstown and is on the southern shore of Dublin Bay. It was an important harbour but it is now mainly used as a ferry terminal and has a marina and three yacht clubs. In the distance, the two chimneys of Poolbeg power station at the west of Dublin City can be seen.